Charles Moscowitz: American Spring March on Washington - Tea Party/Occupy Wall Street coalition? American Spring March on Washington - Tea Party/Occupy Wall Street coalition? Operation American Spring will march on Washington DC May 16. 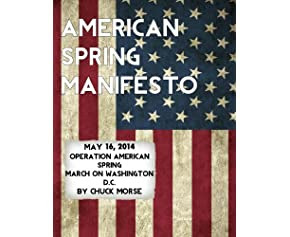 Radio host Chuck Morse, author of American Spring Manifesto is calling for a joint Tea Party-Occupy Wall Street effort. "While American Spring is made up of mostly of Tea Party conservatives and libertarians, our cause may resonate with Occupy Wall Street leftists who might consider joining us," Morse suggests. "While we disagree on issues we share enough in common at this point to work together." 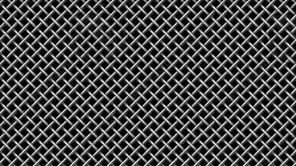 As examples of common views, President Obama is amplifying the dark tendencies of President Bush by Expanding NSA spying and the use of domestic drones. Obama is using government agencies such as the IRS to go after his political enemies. Occupy Wall Street should understand that the precedent has been set for republican administrations to use rogue government agencies to conduct unlawful activities..
We share concern over increases in the police power of the government. The Department of Homeland Security is stockpiling millions of rounds of hollow-point bullets and state and local police are receiving military hardware and SWAT training. We share concerns over the accelerating tendency toward hyper-Nationalism as manifested by Common Core Curriculum in education, Obamacare, and the encroachments of Agenda 21 on local environmental policies. We share concerns over corporate excess and while we may differ on the means of reform, we share concern over the growing military-industrial complex and its under-pinning on Wall Street. While we may not agree on the particulars, we share concern over restoring and protecting the Constitution. "Let's get together and shake things up in Washington on May 16," says Morse. "Let's take back our country and our government so dat we can have a future where we disagree and debate freely and without fear."